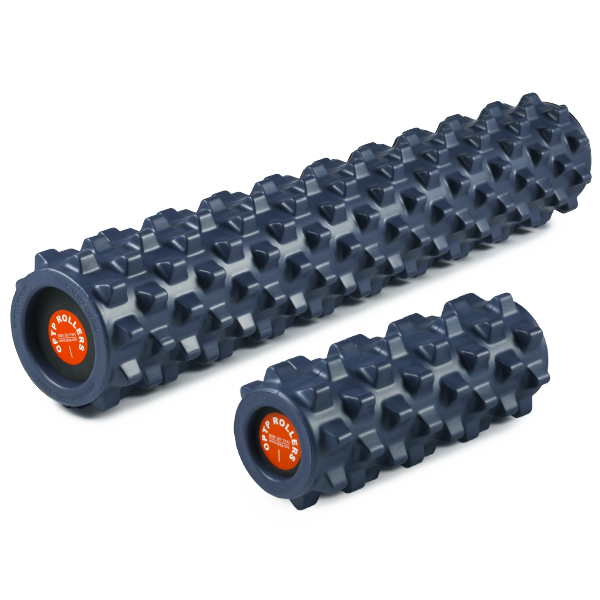 Experience invigorating massage with this specially designed foam roller featuring unique bumps for deeper myofascial release. The surface of the RumbleRoller contains specially designed "bumps" that are firm but flexible, much like the thumbs of a massage therapist. The bumps are firmer than muscle tissue, but much softer than bone, so they deflect out of the way if they contact your spine or other bony protrusions. As you roll on the RumbleRoller, the bumps continuously knead the contours of your body, stretching soft tissue in multiple directions to help restore flexibility and bring relief to common types of muscular pain. The RumbleRoller is waterproof and is also molded with an antimicrobial additive that stops the growth of bacteria. Caution: Aggressive use may cause minor bruising. The RumbleRoller is a serious foam roller. 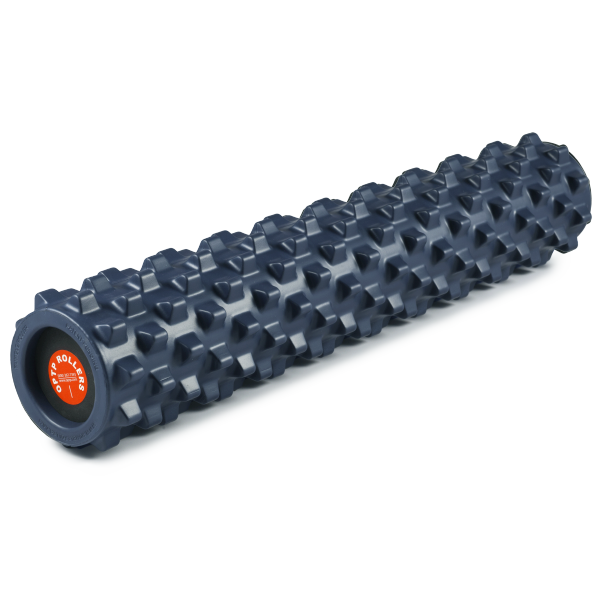 If you are new to foam rollers, a soft or dense foam roller will suit the needs of most people and athletes. 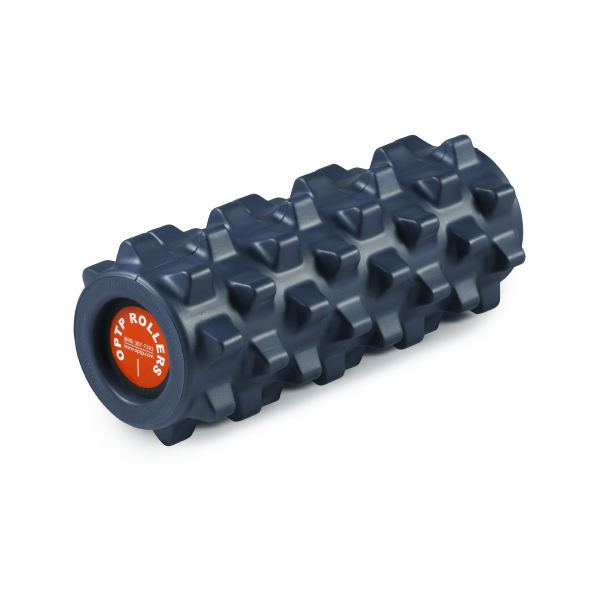 As foam rolling becomes a daily routine for you, that&apos;s when the RumbleRoller can help immensely. I purchased the blue firm roller over a year ago, and when the dense roller doesn&apos;t challenge you enough, it&apos;s time for the RumbleRoller. I dont actually own one of these, but they have one in my local gym that i have a membership to. It wasnt until a trainer had advised me to use one that i ever really recognized it in the gym. Absolutely LOVE this thing. Considering i have poor posture due to spending to much time hunched over a desk in front of a computer, this thing does wonders before and after my workout. Its a little uncomfortable at first to get used to, but once you get it in your routine you can really feel the benefits. Love it, and plan on purchasing one for my home.